Crafty Garden Mom: Book Giveaway to Celebrate Sandy's Podcastaversary! I think I listen to all the quilty ones. A few crafty ones, especially green stitch. I also listen to some foodie podcasts. I agree that sandys voice is like listening to a good friend. Warm and inviting. Thanks for your podcast tanesha. And the chance to win! Tweeted. And called in for Katie's giveaway. Scary! Hi Tanesha! I love all you guys :) I listen to Rhonda (quilter in the gap), Pam (hip to be a square), Katie (katie's quilting corner), AJ (the quilting pot), Frances (off kilter quilt), Daisy (lazy daisy)...pretty much if it's quilty related I'm tuned in :) Thanks for the giveaway and all you do! PS - I posted on Katie's giveaway. and more... just not as regularly. I also commented on Sandy's giveaway. I listen to all of the quilty ones, and also Greenstitch and iMake. Non-crafty podcasts include Wait Wait Don't Tell Me, Vinyl Cafe, PRI's World in Words and Manager Tools. I think I have listened to every quilt podcast ever done. I bought my first Ipod when I heard Alex Anderson was going to do a podcast - and I didn't even know for sure what it was! I was immediately hooked. I've already entered the giveaway at Quilting for the Rest of Us. Now I'm on my way to the others. Thanks for doing this - you are all so generous! I just love the idea of a multi-podcaster giveaway. Well dones, ladies! Well, you know I listen to your podcast. I'm also a big fan of Sandy's, Susan's, Pam's and Frances' I bring you all with me every where I go! Thanks for the chance to win! I've been eyeing up that lovely book in the shop! I listen to a few podcasts, Quilting for the Rest of Us, Off kilter Quilt, Hip to be Square, Quilter in the Gap. Embarrassingly enough, I don't tend to listen to podcasts. I much prefer reading because I'm faster at it than I am at listening. I have listened to Grammar Girl's podcasts and have shared them with students. I will try to go for yours and some of the others mentioned and see if I can become a better listener. Entered the giveaway at Pat Sloan's. Oh my I listen to a bunch while I'm sewing or while I wait during DS karate practice. Some I enjoy include Crafty Garden Mom (of course), Off Kiter Quilt, Quilting For The Rest of Us, Lazy Daisy, Hip To Be A Square, Katie's Quilting Corner, Greenstitch and Pat Sloan at All People Quilt. I miss Annie Smith since she has not had one in a long time. And I entered Susan's giveaway! Oh boy, thanks for the opportunity. I've definitely been eyeing that book, and the fabric as well, it just so happens. I so agree about how close you start to feel to the podcasteres you listen to... Because its such an intimate thing, while I walk or sew or knit or clean its just my friend in my ears and myself. It's lovely, I'm not sure what I did before. I know I never watch TV anymore! I just looked and saw that I actually subscribe to 88 podcasts! And I just went through and got rid of a few I rarely listened to! Needless to say I've got most of those listed above covered, but I've somehow missed Quilter in the Gap! I'm going to rectify that situation right now! Thanks again, sorry so long! 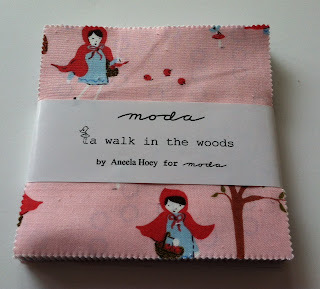 Entered the giveaway at "Quilting for the Rest of Us...." Love Sandy. Tami In Denver. Now I have to figure out how to twitter this post!. I've entered Sandy's giveaway... BTW, my email is kekrueatgmaildotcom! I'm so glad you are participating! After hearing Amanda & Cheryl on Pat Sloan's latest podcast, it's super cool that you are giving away their new book. I listen to ALL of the quilting podcasters to help support our quilting podcast community. The others are: Happycrafter 207, The History Chicks, The History Extra Podcast, KCRW's Good Food, The Moth Podcast, NPR Programs: Fresh Air Podcast, NPR Topics: Food Podcast, NPR: Books Podcast, PRI: To the Best of our Knowledge, Sew Forth Now, Stuff You Missed in History Class, Taste Matters, A Table Set, This American Life, WNYC's RadioLab. Wonder why I always have a que of about 60 shows to listen too! I listen to Susan, Katie, Pam, Frances, Daisy and of course you too! Love you all and appreciate all of your time and dedication. I entered all the contested for Sandy's podcastiversary. I listen to them all and host one when life is insane!!! I entered a couple different giveaways - Pam & Sandy. I am also hosting one. Thanks. I don't listen to podcasts at the moment, but maybe I'll start. I listen to: Crafty Garden Mom, Hip to be Square, Quilting for the Rest of Us, Katie's Quilting Corner, American Patchwork and Quilts, SeamedUp, Off Kilter Quilt, The History Chicks, Very Lazy Daisy, Mugglecast, and I think there are a few more that I can't think of off the top of my head that are as regular at posting. I love the idea of winning stuff, so I have signed up for all of them! I don't know how to listen to podcasts. I don't have an mp3 player or a smartphone. Can I listen via my PC? I commented on Sandy's & Katie's giveaway posts. I listen to all things quilty. Once I catch up with all of them (I have to start at the beginning) there are others you all have mentioned that I plan to give a try. I posted a comment on Sandy's, will work my way around to the rest. Love your podcast. I tweeted on your giveaway. I listen to you, Sandy, Katie's Quilting Corner, Pam, Lazy Daisy, and AJ. I have entered AJ's and Sandy's giveaways so far. I listen to your podcast as well as the others. 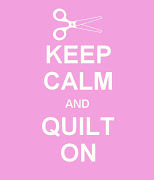 I listen to Quilter in the Gap, and Katie's Quilting Corner... and will be adding a few more to the list after tonight! Thanks for sharing this fun giveaway - I don't have any Aneela in my stash and would love to win! The book looks divine. I am entering all of the giveaways from Sandy's blog.... so far AJ and Sandy's plus yours (going in order, like some of the previous commenters!). Thanks for sharing! Because our internet connection is so slow in our rural area, I cannot listen to any podcasts. I look forward to the day when that will change! I entered the giveaway at Pat Sloan's blog! I haven't gotten into listening to podcasts much. Maybe I need to! I entered at Quilting for the rest of us. I've only just discovered the podcasts! I left a comment at Katie's quilting corner! I listen to all the quilting podcasts. The only non-quilting podcast I listen to is "Food for Thought" (I am a vegetarian). I don't tweet(maybe someday), so I'll miss out on that opportunity to win :( Looks like a great book. Thanks for offering it as a giveaway. I entered Katie's giveaway for the beautiful Bali Pops. I'm sure I'll be entering all the other contests linked up also. Yay!! I listen to all the quilty podcasts, but also to the History Chicks. Love them! I love history, but hearing about the women in history is great. I'll take that Sunday morning quilt book! I tweeted about your giveaway, too. Thanks! Hi Tanesha! I also listen to all the quilt related podcasts already mentioned, plus some that are more craft related, like The Knit Wits (haven't had a new episode in ages) and Happy Crafter 207, Green Stitch, and Stitching 'n' Junk. There are a lot of podcasts I listen to that have nothing to do with crafting, like Mugglecast, Mail Order Zombie, Stuff you missed in History Class, Mental Illness Happy Hour, H.P.Podcraft.. so many! I listen to podcasts every single day. I'm addicted. I listen to many podcasts...Quilting podcasts include yours, Lazy Daisy, Quilting for the rest of us, QUilt Cabana, Scientific Quilter, Nonnie, Quilting Cupcake, Jackie, Quilter in the Gap, Seamed Up, and Annie Smith when she is podcasting. I have a huge queue of knitting podcasts - Cast On, Knitmore Girls, Savvy Girls, Cogknitive, and at least a dozen others. Craft Lit is a long time favorite. Other non-crafting podcasts include Sattelite Sisters and Chaos Chronicles, and several NPR shows. I have entered contests for The History Quilter, Quilter in the Gap, Quilting for the Rest of Us, and yours, of course! I forgot to mention Hip to Be A Square and Off Kilter Quilt in my earlier comment, but they are among my favorites. I guess I have a lot of favorites! I listen to your podcast, Sandy's, The History Quilter, The Off-Kilter Quilt, THe Quilting Pot. It makes my commute easier. I commented on Sandy's blog to enter her giveaway. I would love your book!I enjoy your book recommendations! I don't listen to any podcasts, but I follow quite a few blogs. I listen to your podcast, Sandy's, Pam's, Daisy's, Frances's, Nonnie's, Pat Sloan's , Susan's, and SeamedUp's. And AJ's. I must be missing someone, but that is a start. Hi Tanesha, I listen to pretty much all the quilting podcasts (you, Frances, Katie, AJ, Sandy, Pam etc) plus a couple of British ones; Imake and Yarns from the Plain. Im working through the list of links On Sandy's page but so far entered Pat's giveaway, will be doing them all though! And I already entered Sandy'sand am working my way through the rest of them. I entered all the other giveaways except 2, 6, 9 & 10. I listen to Amer Patchwork & Quilting Radio, you, GreenStitch, History Quilter, Hip to be a Square, Katie's Quilting Corner, Lazy Daisy Quilts, Off Kilter Quilt, Sandy, Quilted Cupcake, Quilter in the Gap, Scientific Quilter, Seamed Up and The Quilting Pot. Wow, I really did not know the list would be that long but I love them all! Do you really want to know ALL the podcasts that I listen to?!? Here goes: CraftyGardenMom, AJknits, American Patchwork and Quilting, Craftlit, Craftlife, Knitmoregirls, QuiltingPot, Quilting for the Rest of Us, Off-Kilter Quilt, Nonnie's Quilting Dreams, GreenStitch, History Quilter, History Chicks, Stuff You Missed in History Class, Hip to Be a Square, Katie's Quilting Corner, KnitPicks, Lazy Daisy Quilts, Quilted Cupcake, Quilter in the Gap, SeamedUp, SewForthNow, 2KnitLItChicks. When I'm not listening to podcasts, I actually am a wife and raise a family! I left comments on Sandy's, AJ's, Pat Sloan's, and your blogs so far, but I'm also planning to call Katie once I think of something to say! I listen to the Fab 5 [AJ, Pam, Sandy, Frances and yourself] as well as Very Lazy Daisy, Susan the History Quilter and Rhonda from Quilter in the Gap. I am catching up on Victoria from Peacebrook Quilting and Katie's Quilting Corner. I have entered Sandy's Give-Away, but am not sure if I entered any others. Podcasts I listen to: Quilting For the Rest of Us, Hip to Be A Square, Katie's Quilting Corner, The Off Kilter Quilt, Very Lazy Daisy, Nonnie's Quilting Dreams, Peacebrook Quilting, History Quilter, The Knitmore Girls, IMake, Happy Crafter 207 just to name a few! ***I listen to/or have listened to (as some are no longer available): Annie Smith, Quilting Stash; The Bachelor AfterBuzz; Breaking Bad Insider Podcast; Crafty Garden Mom; Hip to be a Square; The History Quilter Podcast; Katie's Quilting Corner Podcast; Lazy Daisy Quilts; Nonnie's Quilting Dreams; The Off-Kilter Quilt; Patchwork and Pacifiers; Quilted Cupcake Podcast; Quilter in the Gap; Quilting...for the Rest of Us; quiltingdaydreams;Qusew; Revenge AfterBuzz; Ringer AfterBuzz; Scientific Quilter; Seamed UP Podcast; Sew~Stitch~Create! ; stash resolution; TheQuiltingPot; The Touch Podcast; Within A Quarter Inch. Also just started some Hunger Games podcasts! ***I Tweeted about this give-away and Sandy's Podcastaversary! I'm Gloria/Brindlecat. ***I left a comment on Susan's History Quilter blog for her give-away. I entered The History Quilter's giveaway. I listen to lots of podcasts, including yours and Manic Mommies, NPR Wait, wait, don't tell me!, Get it done guy, Grammar Girl, Modern Manners Guy, Greenstitch, Knit picks, Yarncraft, History quilter, Katie's quilting corner, Hip to be a square, Lazy Daisy Quilts, Nonnie's quilting dreams, Off kilter quilts, Passporter's Disney and Beyond, Quilting for the rest of us, Quilt cabana, Quilted cupcake, Sew forth now, Seamed up, scientific quilter, the quiltingpot, quilter in the gap, the public speaker, and peacebrook quilting. I listen to them all Tanesha. I think it is wonderful that we have so many to keep us entertained and informed. Now entered into Susan's giveaway. I listen to Yours of course, Pat Sloan's, Creative Mojo, Nonnie's Quilting Dreams to name a few. I first and foremost, I listen to your podcast. I love the variety, books, knitting, quilting and the kids. I listen to all different podcasts, most of the quilt ones, History Chicks, Manic Mommies (although I am not a mom, but love the stories) and numerous knitting and spinning podcasts. Keep up the great work, and don't forget to remind us when the magazine comes out with your quilt in it. Sent out a tweet to announce your giveaway. Posted a comment on The Quilting Pot blog. I listen to you (of course! ), Sew Forth Now, Greenstitch Podcast and 5 Decisions Away! Just tweeted about your book giveaway. Unfortunately, I only have one Twitter follower! LOL! Does it still count? My twitter name is NikkitheVet. BTW, my Google name luv4dsbaby stands for "love for Down syndrome baby" - I have a a little boy with DS. You mentioned me in your podcast one time. Happy Easter, Tanesha! Ooooh, I would love to win this book Tanesha! Have to admit I have just made a quilt from the Walk In the Woods line so this really shouldn't come to me… My fave podcasts are yours (of course! 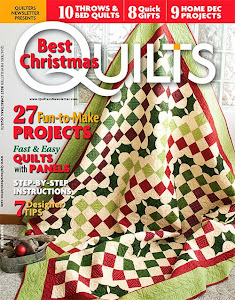 ), Rhonda over at Quilter in the Gap, Pat Sloan and Jackie's quilting Chronicles. You guys all keep me company on my drive home from work and I love you all for it! I left a entry at many of the links on Quilting for the rest of us. Thanks for the opportunity. I would live the charm pack. All my fabrics are 80's and dated. Yuk.